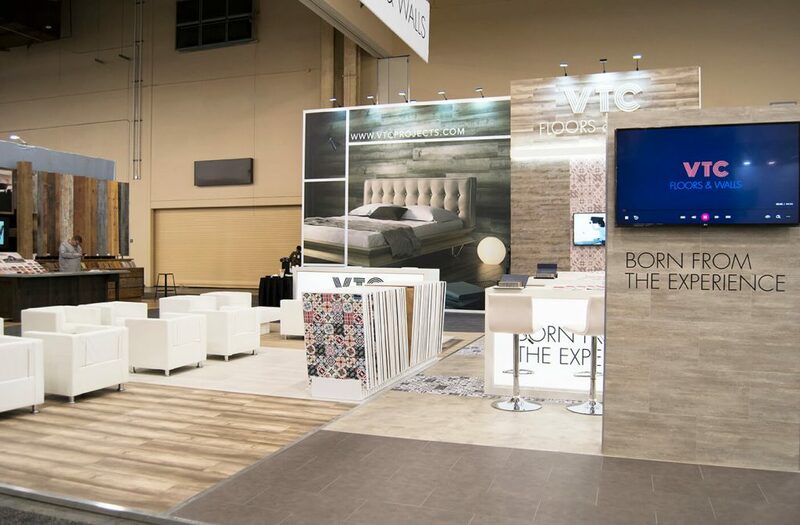 One year more, the Mandalay Bay Convention Center in Las Vegas, NV, hosted one of the most important floor covering fair in the world: SURFACES. It’s the largest event in North America, and serves the industry of the sector with the aim to join buyers and sellers from around the world, which in this edition had 800 exhibitors. The VTC factory was there for the first time after its official presentation act in the floor fair world in Domotex Hannover (12th-15th January). Discover the American target, see how competitors are presented in that continent and show the last products, technologies and trends, were the maximum expectations for this first contact with SURFACES. In the stand, of 100m2, there were worldwide patented products (XCore, Wall Solution) and others already known as WPC and SPC. Visitors could see first-hand the finish of products due to on the floor of booth was installed XCore Fix, one of the novelties that were presented and the wall was almost entirely covered with Wall Solution. 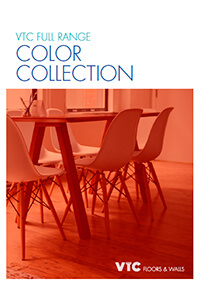 Also, the hundreds of people who visited the stand were able to check the wide range of colors collection available and the advantages and characteristics of the each products. Among the highlights of audience were the hydraulics collection (exposed in both ways, horizontally and vertically), some designs that opt for a vintage style and reminiscent Mediterranean airs. VTC had the invaluable collaboration of Mats Inc., official distributor in the USA of the products XCore and Wall Solution. From this space, we want to thank its commitment. We would also like to thank all visitors who showed interest in our products. VTC team is working is dealing with all requests for information in a personalized manner together with the managing of the latest details of the next fair. Next days, VTC will come with a large own stand in Domotex Shanghai (20th-22nd March) and The Flooring Show (16th-18th September), national fair in UK, completing the 4 fairs planned to this year 2018 and thinking about those to will attend in 2019.